dogs need to chill out, too! In light of National Dog Day yesterday, we’ve got quite excited at the prospect of a holiday with our favourite canine companion. What could be better than exploring a beautiful corner of the world with your pampered pooch beside you? 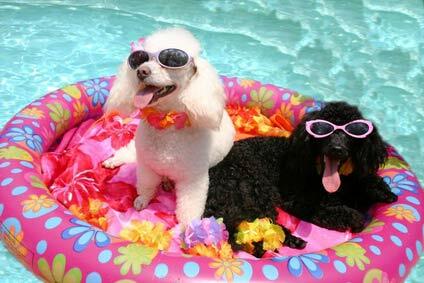 Doggies need a holiday too! 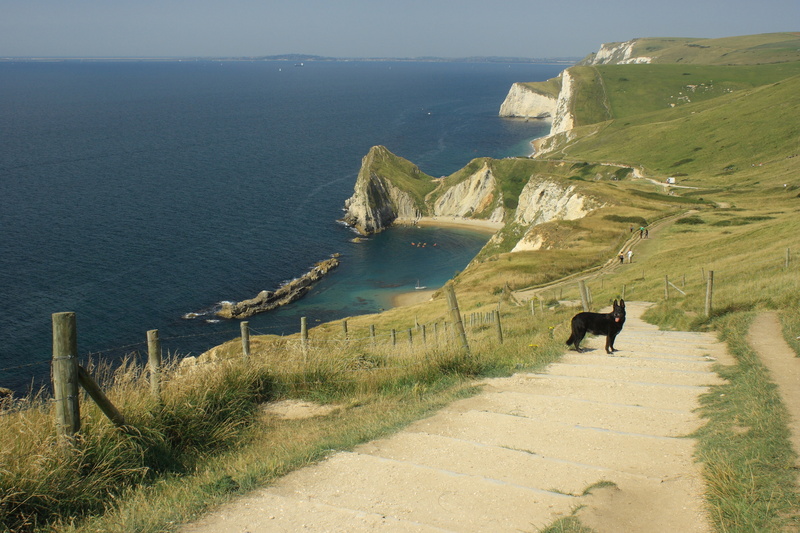 Find below some inspirational ideas for self catering dog friendly holidays, because they’re cheaper than kennels and makes for a perfect excuse for exploring gorgeous scenery by foot. 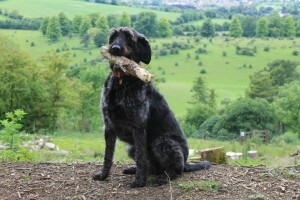 There are so many beautiful places to discover in England that are dog friendly too, run alongside sandy beaches with your furry bundle of joy in Dorset, climb outrageously stunning parts of the Peak District with your favourite four legged friend or chase your canine companion around the lovely Cotswolds. We have a range of dog friendly cottages dotted all around England, ideal for an escape from the hustle and bustle of modern life alongside your best friend in the entire world. 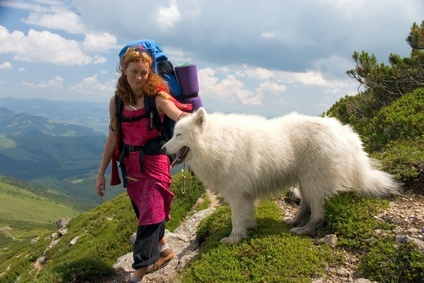 Unlike England and Wales, Scotland doesn’t have set footpaths meaning that people have ‘right of access’ over most land regardless of whom it is owned by – but be careful, and keep your doggie on a lead if you’re unsure. 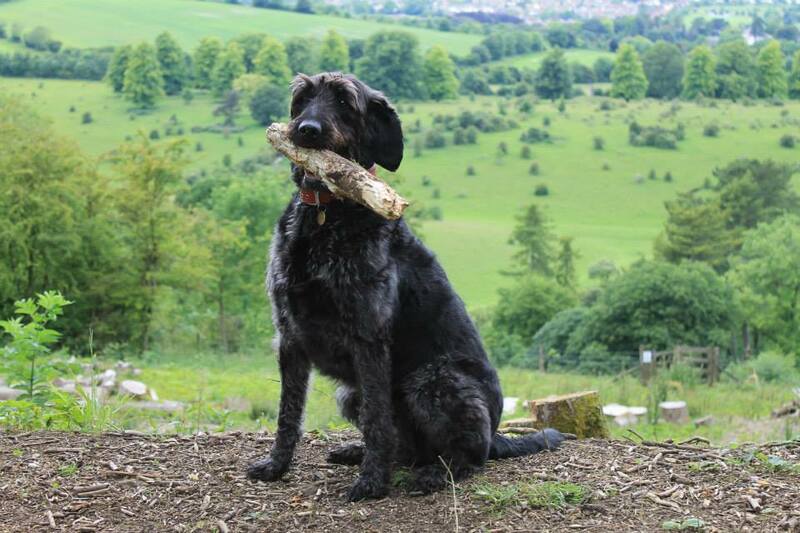 For walks to tire even the most energetic puppies out, we recommend walking around Linlithgow Loch (which is to the west of Edinburgh), a gentle stroll around the Glenlivet Estate set within the Cairngorms National Park or exploring the Forests of the Scottish Borders with your pet. We have many self catering dog friendly county cottages in Scotland, perfect for a pet lover with a love of beautiful landscapes. Ireland is a truly wonderful place to bring a dog for a relaxing holiday, take your pooch for an energising walk on the Ballycuggaran Loop in County Clare, the Killarney National Park in County Kerry is a must-see with your furry friend or perhaps you could simply spend at day at the beach with your dog and family in County Cork, which boasts many dog friendly beaches. Travelling to Ireland from the UK is simple enough; just make sure your doggie has its pet passport! Wales is a fantastic place for a holiday, and can only be made better by bringing your dog along too. Popular with dog owners are Llansteffan Beach in Carmarthenshire, the Felindre Reservoir in Swansea and of course Snowdonia National Park – ideal areas in this gorgeous part of the UK for strolling or running alongside your pooch. 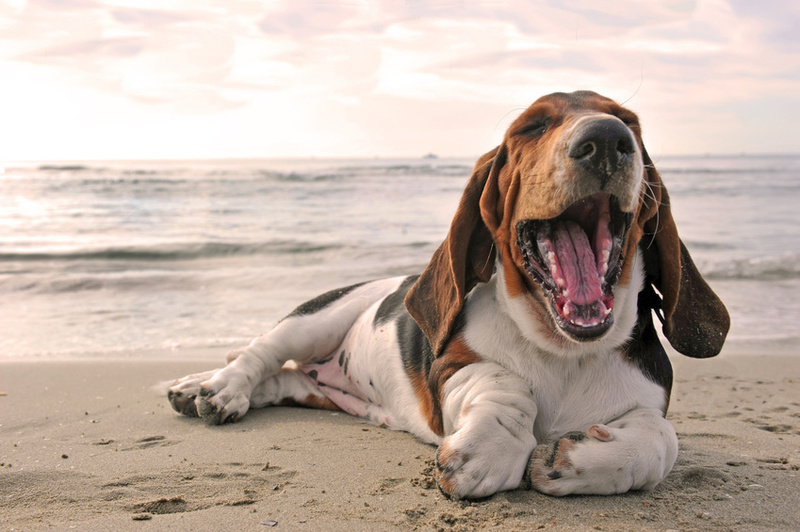 Choose from a vast array of self catering dog friendly holiday rentals in Wales, the best place to enjoy a lovely ‘cwtch’ with your pet after a long day exploring. Grab your pet’s passport and be sure to enjoy somewhere a little more exotic with your pampered pooch. 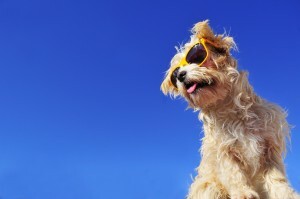 A holiday abroad with your dog may seem stressful, but it is often far easier than one would previously have expected. 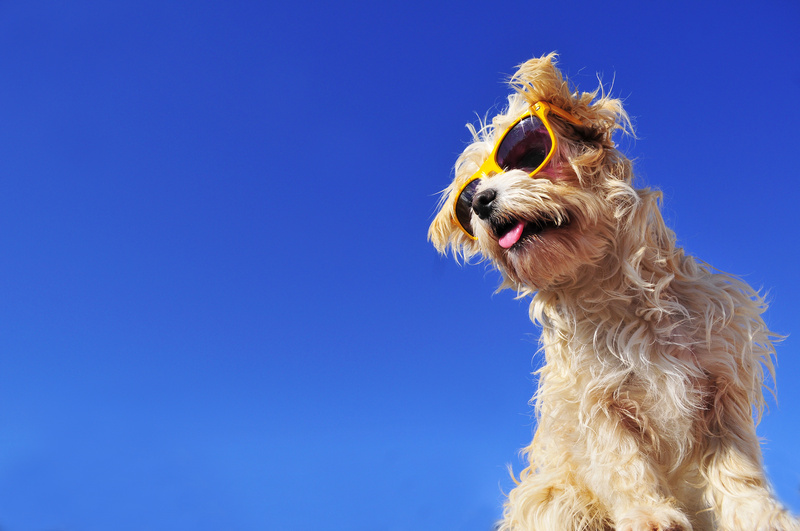 We are particularly fond of holidays in France, Cyprus or even the Czech Republic with a dog in tow, due to the gorgeous areas of scenery these parts of Europe have to offer – self catering pet friendly holidays have never been more within your reach! National Dog Day got us very excited about holidaying with our dog, so much so that we made a blog entirely inspired by it! Regardless of where you’d like to visit in the world, we hope you consider bringing your pooch along with you next time you choose to have a self catered holiday – and have fun!